These presentation slides 48533 are complete compatible with Google Slides. Simple download PPTX and open the template in Google Slides. This amazing template is designed in a cute laconic style on the wooden background with adding some topical elements as clock, notes, clips, etc. 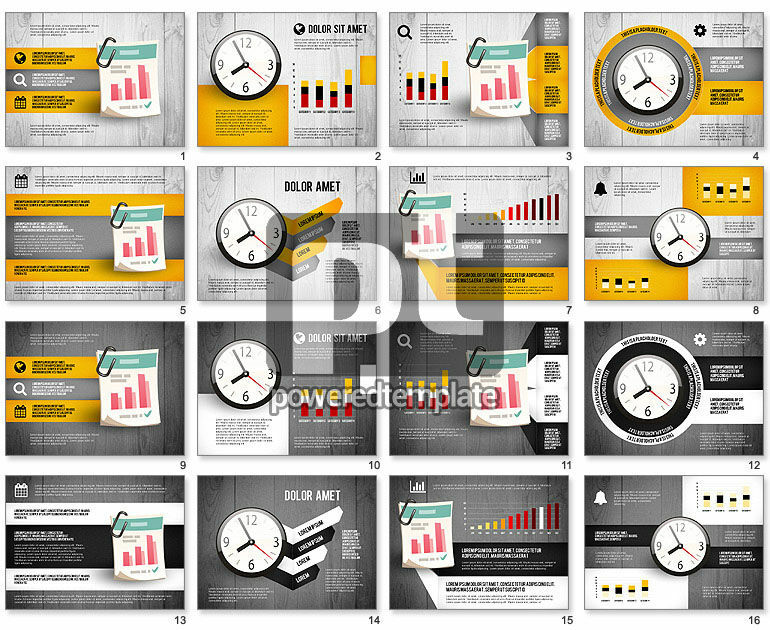 Colorful scales and icons facilitate the perception and make the information easy to remember Don’t miss a chance to use this amazing template for creating infographics, time management tips, scheduling or making action plans.